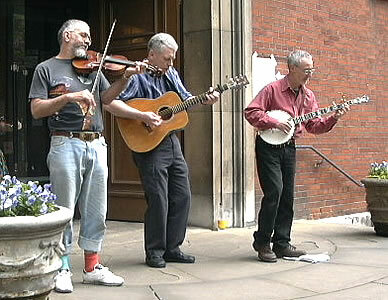 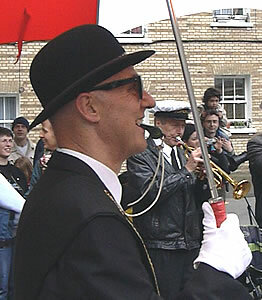 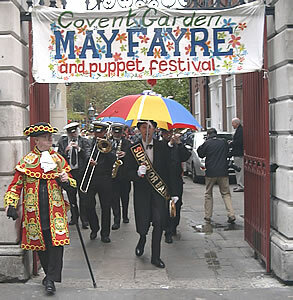 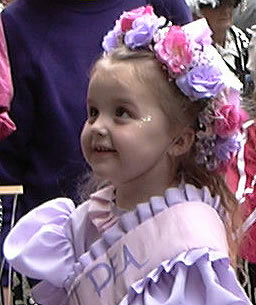 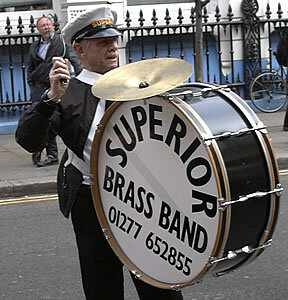 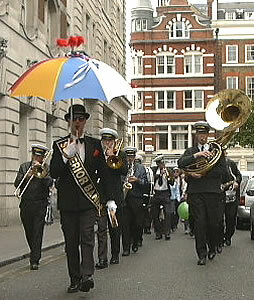 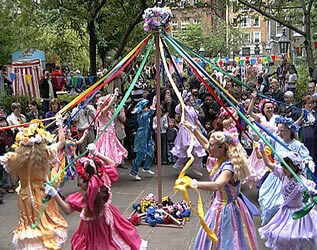 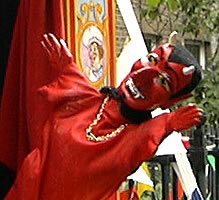 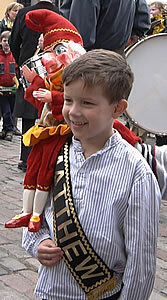 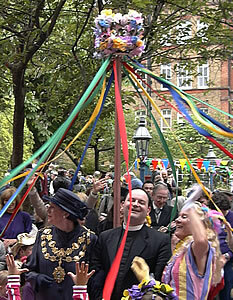 These photos were taken at the May Fayre and Puppet Festival in Covent Garden in 2003 and 2004. 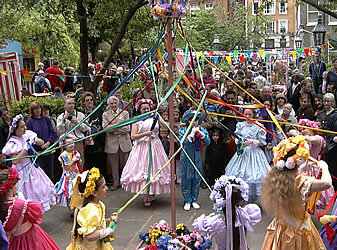 For more details about this year's event, see: Ideas/Events/May. 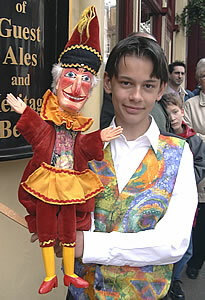 One of the organisers ... a ventriloquist? 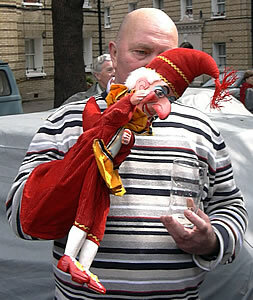 ... and is modest about its ability! 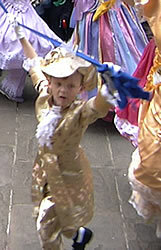 Give the performers a hand! 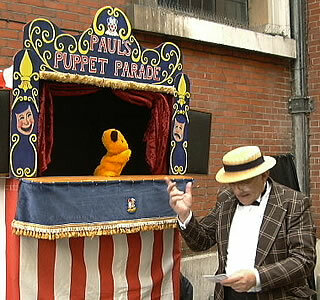 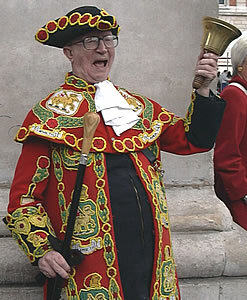 In most years there is a special church service which involves the Punch and Judy puppeteers. 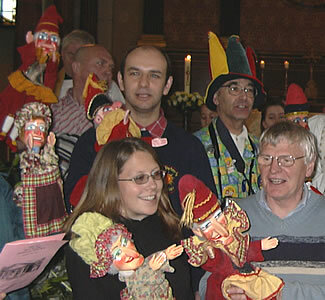 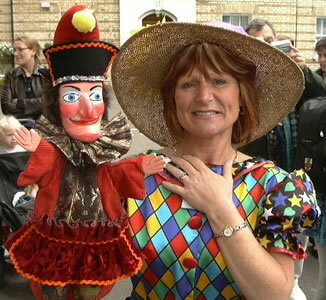 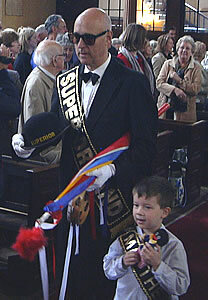 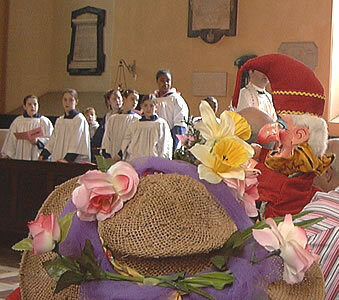 Note that there is no puppet service in 2008 because this event coincides with the Christian festival of Pentecost. 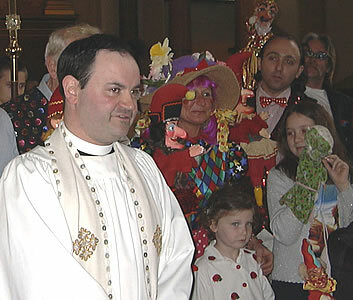 Punch joins the congregation - repenting for his sins? 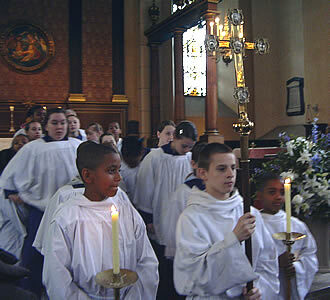 Today the church attendance has doubled! 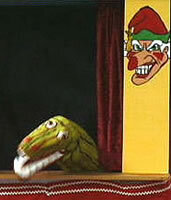 ... can be quite a stretch! 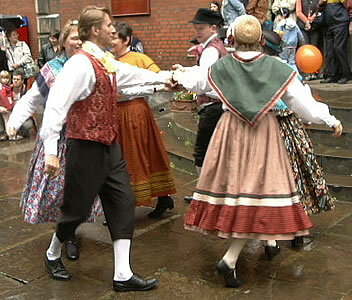 There's no escape from the middle! 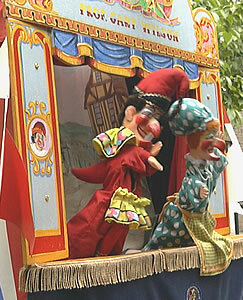 Puppet performances take part in the garden throughout the afternoon. 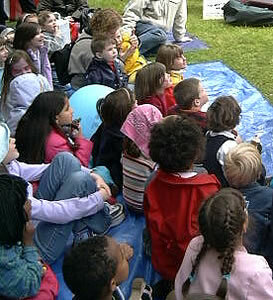 The space nearest to the front is reserved for children, but adults can enjoy the shows as well. 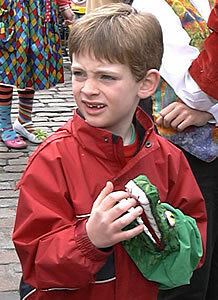 ... and a crocodile ! 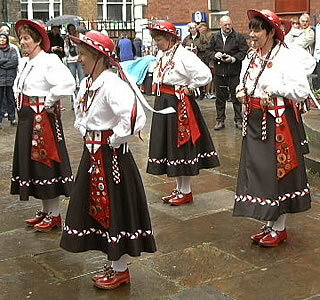 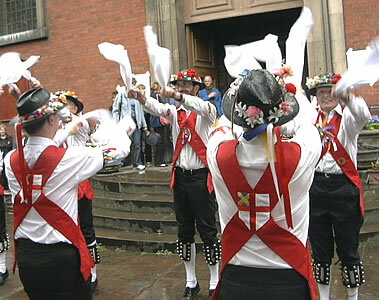 English Miscellany folk dancing group: http://www.englishmiscellany.com.